The Blues delivered a commanding performance to get back to winning ways as they swept aside the Blasters' challenge. 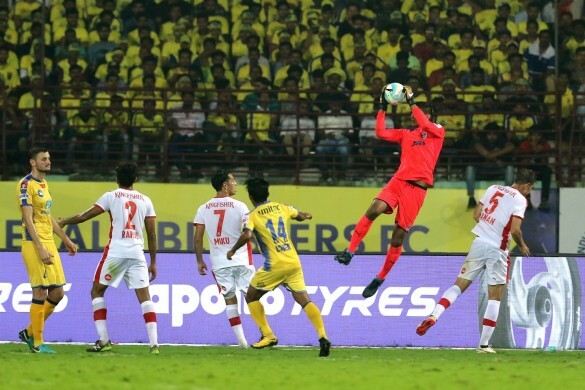 Kerala Blasters FC succumbed to their first home defeat in Indian Super League (ISL) after going down 1-3 against Bengaluru FC at the Jawaharlal Nehru Stadium in Kochi on Sunday. Miku scored a brace and Chhetri converted from the spot to ensure the win for the Blues, while Courage Pekuson grabbed a late consolation for the hosts. Speaking to the media during the post-match press conference was Kerala head coach Rene Meulensteen, who called the penalty the game-changer. Asked about his team’s performance, the Dutchman did not hide his disappointment and highlighted what created problems during the match. “It’s (the performance) not good and not acceptable,” Meulensteen stated. 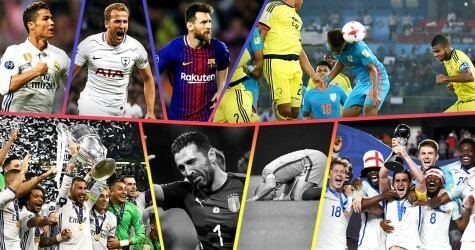 10 Footballing moments in 2017 that took your breath away! Speaking to the media at the post-match press conference was Bengaluru head coach Albert Roca who mentioned that it was their second-half performance that made the difference in the end.